Law and Home Affairs Minister K Shanmugam has weighed in on an article published on anti-PAP website, the States Times Review, on 5 November 2018, which made statements that were false and malicious, and impugned the integrity of MAS as a financial regulator. 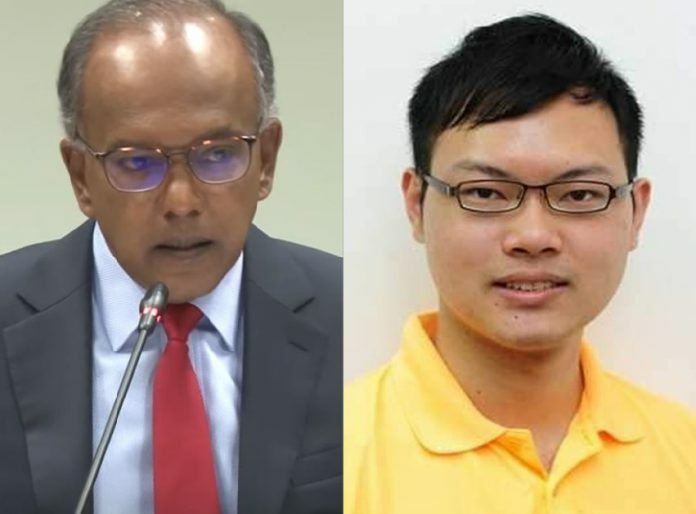 Shanmugam has since called the comments made in the article against Prime Minister Lee Hsien Loong and the Government “absurd”, as he asserted that the authorities will take action against all involved based on investigations and advice from the Attorney-General’s Chambers. Shanmugam’s comments come after Singapore’s central bank, the Monetary Authority of Singapore (MAS), filed a police report over the defamatory article. According to Alex Tan, the founder of the States Times Review, the Infocommunications Media Development Authority (IMDA) has also sent him a notice to remove the defamatory article from his website. “The website will refuse to bow down to the dictatorship’s draconian censorship order or accept any arbitrary order naming any content as “fake news”. I will wear the ban and the falsified charges as a badge of honour.